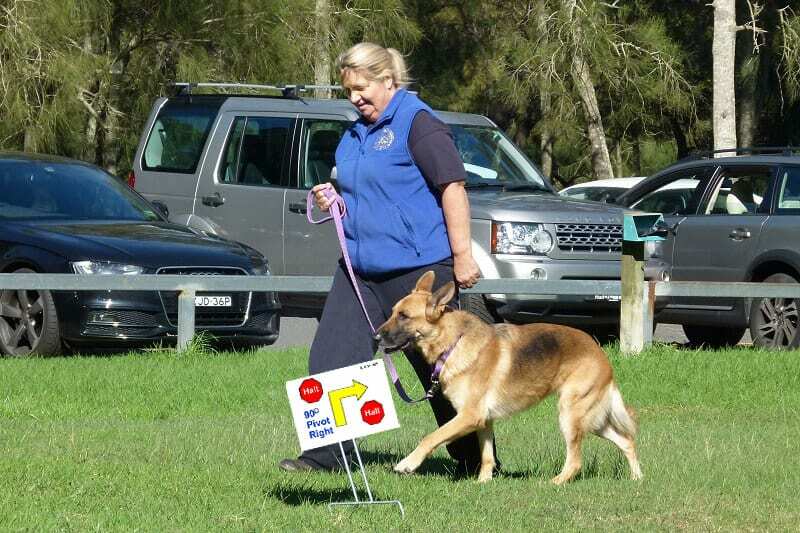 Rally Obedience, or Rally O as it is usually known, is a newer form of obedience which provides a fast moving and motivational sport for both dog and handler, almost like a cross between Obedience and Agility. Your dog does not have to show absolute precision in the training exercises but does have to show enjoyment and willingness so the exercises are upbeat and fun as you interact with your dog. You and your dog follow a course and at each station complete a depicted exercise such as weaving through cones, 360° turns or going over a jump. These are just a few of over fifty different Rally O exercises; courses usually have a minimum of fifteen stations. 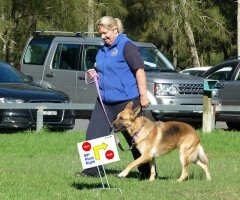 Rally O trials are held regularly throughout the state, quite a few in the Sydney Metro area, indeed Manly and District Kennel and Dog Training Club held the first ever Rally O trial in Australia in 2012. It has gone on to become a very popular sport as it opens up trialling to people earlier as your dog does not have to be at the level of CCD to enter. There are four different levels of Rally O to work through; Novice which is performed with your dog on lead then Advanced, Excellent and Masters, all of which are performed off lead. 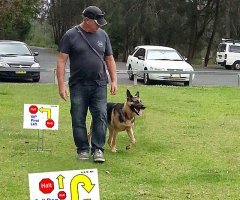 You are encouraged to talk and encourage your dog whilst on course. 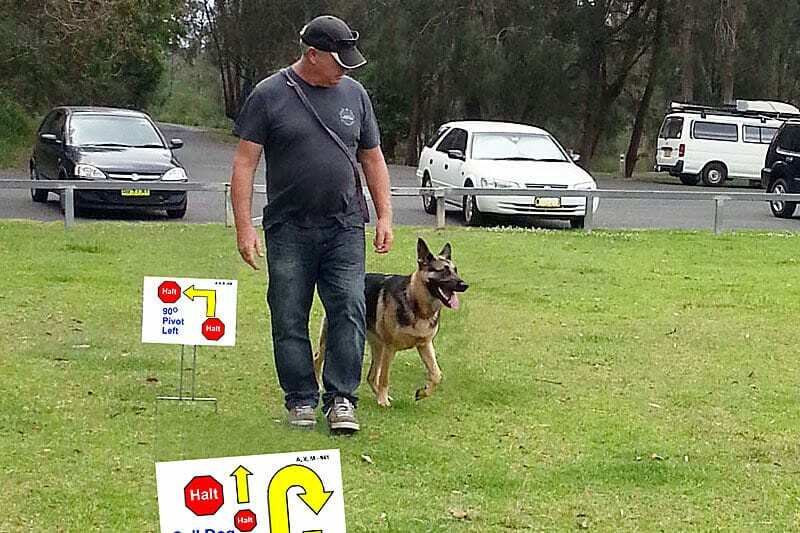 Rally O is an ideal stepping stone for those wishing to trial at formal Obedience levels.